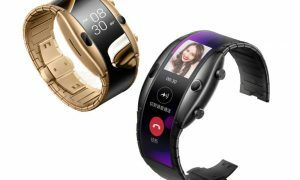 Samsung has been quite busy this year with its smartphones and tablets launch, which was accompanied by the Samsung Galaxy Gear smartwatches and later in June by the Gear Live (its first Android Wear smartwatch). 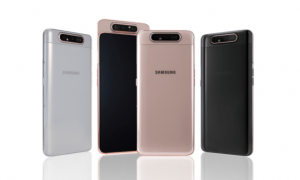 Now it is believed that Samsung is working on a new smartphone dubbed as Samsung SM-G739F. 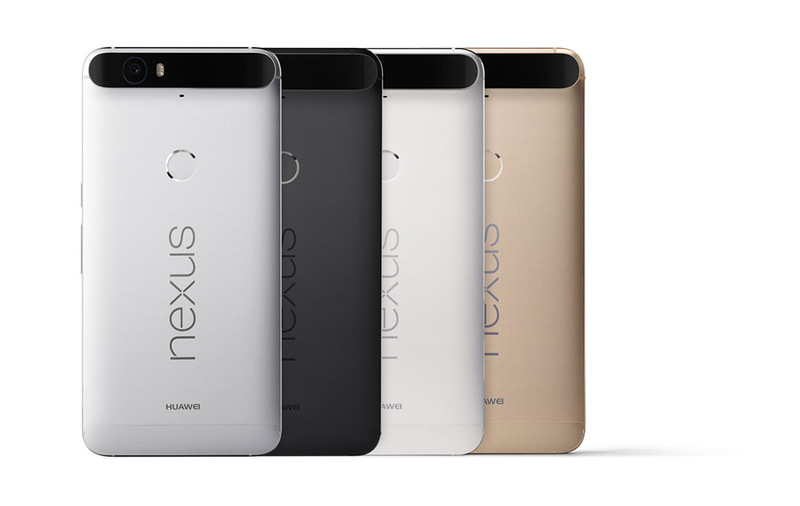 The device was spotted on the popular benchmarking tool called GFXBench. 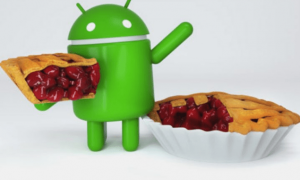 This service is popular among OEMs, which allows them to test the performance on their upcoming devices before the launch. 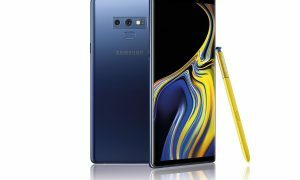 Looks like apart from the upcoming Samsung Galaxy Note 4 phablet, the company is invested in introducing another phablet that will lie among the mid-range devices. Samsung SM-G739F will reportedly come with a 5.5-inch HD (1280 x 720 pixels resolution) display and a Quad-core Snapdragon 400 processor, clocking at 1.6 GHz. According to the GFXBench, the SM-G739F will run on the latest Android 4.4.4 Kitkat update. The listing points out that this rumored device will come with a 1.3GB of RAM, which means it will have close to 1.5GB of RAM. 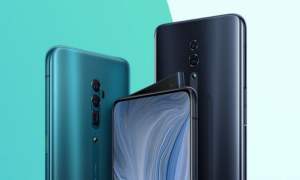 The device will come with a 12GB of usable on-board storage, which points out that the device will feature a total of 16GB of internal storage including the system files. 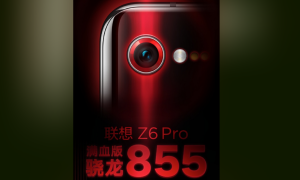 In the camera department, the device will reportedly come with a 2MP front-facing camera and 8MP Autofocus rear-camera with LED flash, which will have output of 7MP. Both the cameras will support Full HD (1920 x 720) video recording with face detection. Other notable features include Wi-Fi, Bluetooth and GPS. 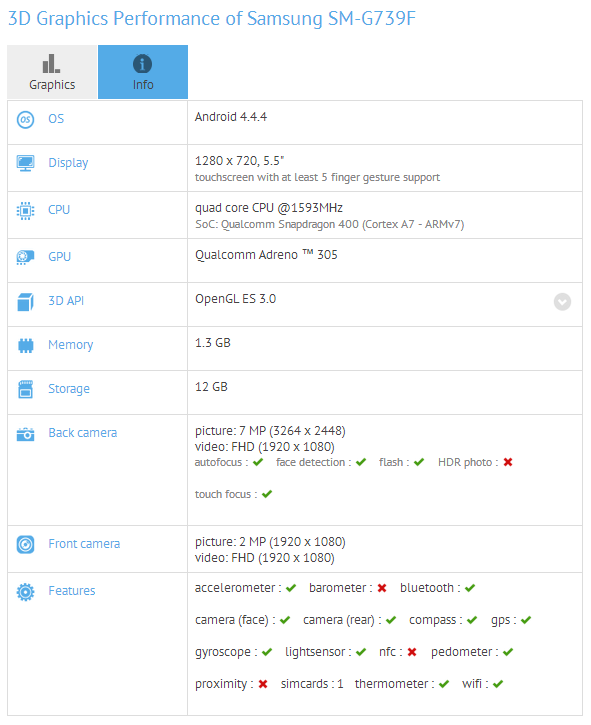 Looking at the specifications, it seems like Samsung is working on a mid-range phablet device.